This is gorgeous! Are there any tricks to making it level? 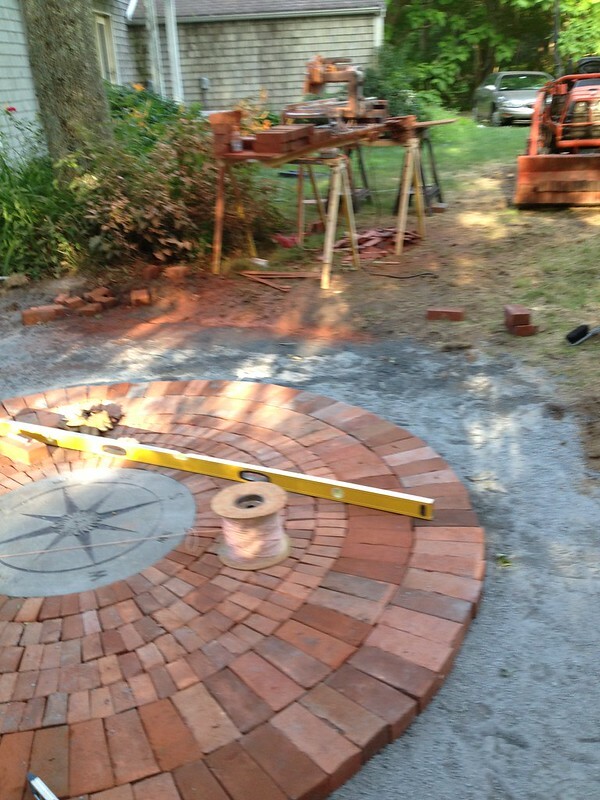 We have a little patio in the planning phases, and I’m a bit frightened of the leveling attempts. 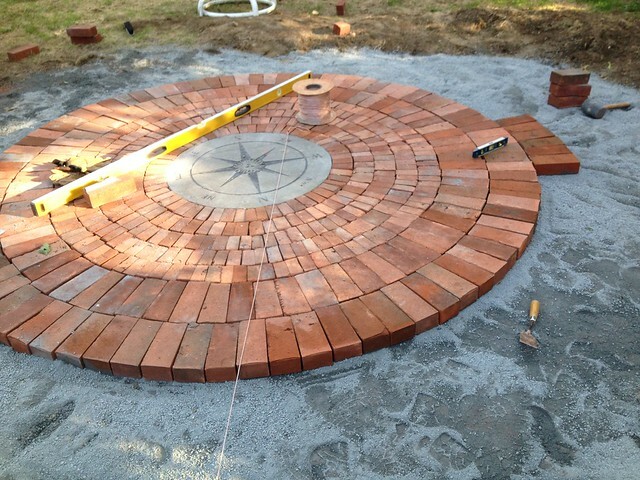 I can’t wait to see the finished quilty patio. You definitely need to level and tamp the whole surface ahead of time. We had originally planned to use half bricks instead of quarter bricks, so we had our surface leveled lower. 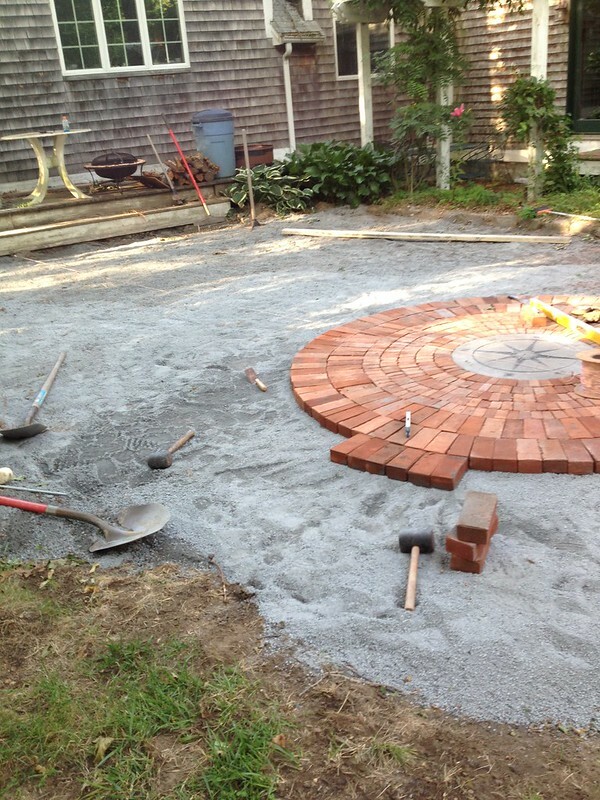 When the surface is prepped properly, you can pretty much just lay the bricks, just hammering occasionally. Definitely a quilt pattern there! That is going to be gorgeous.